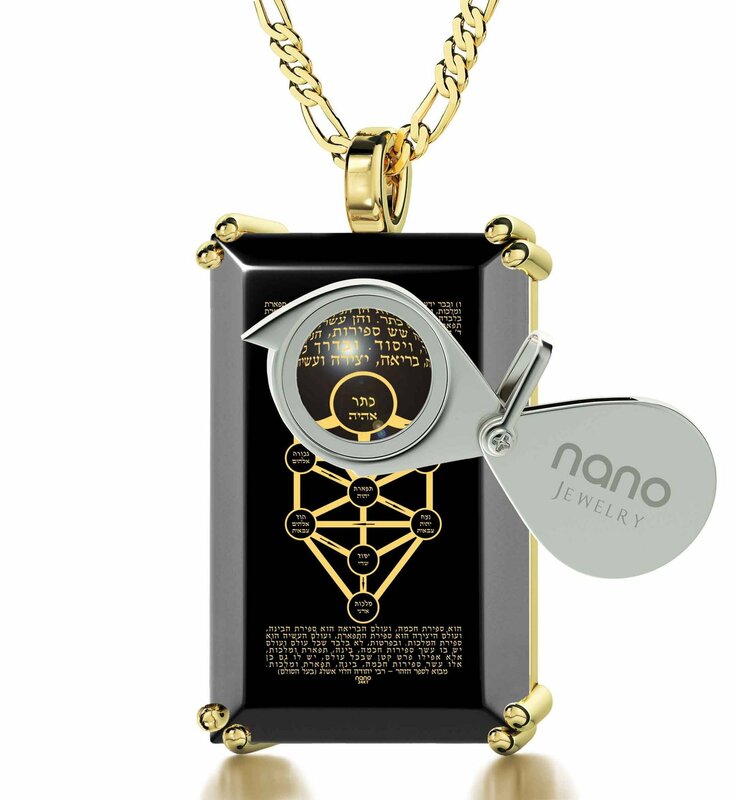 A gorgeous piece of Israeli jewelry, this Kabbalah themed pendant is meaningful, powerful, and stylish at the same time. Made of onyx stone and with 3 micron gold plated details, it's a beautiful choice of adornment. 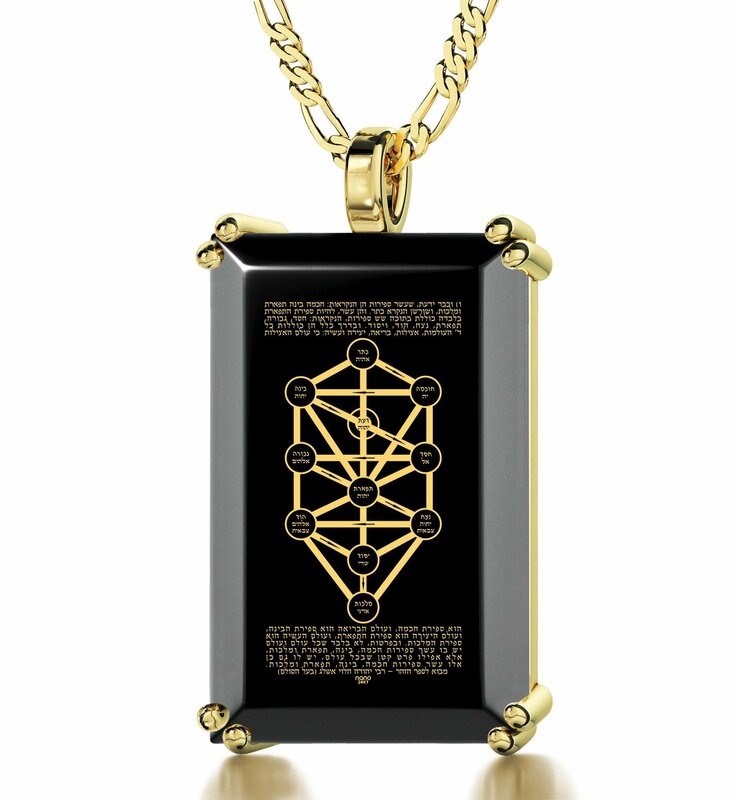 A gorgeous example of Israeli jewelry done in a stylish and high quality way, this onyx pendant has details in 3 micron gold plate, and the design written and depicted on the rectangular stone features the 10 spheres of the kabbalah. 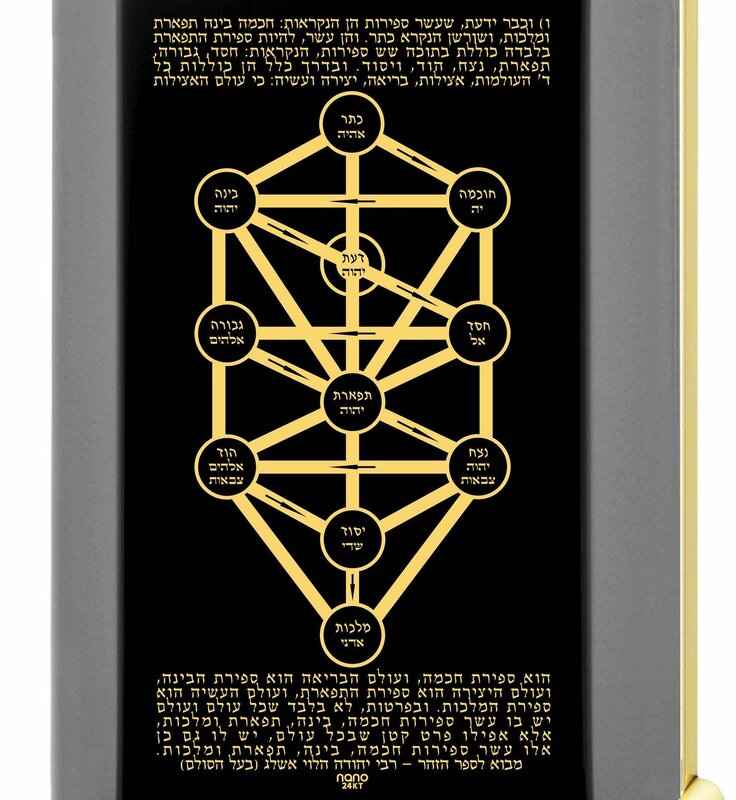 Meaningful and powerful, this choice of design captures the kabbalic understanding of spirituality and the world. 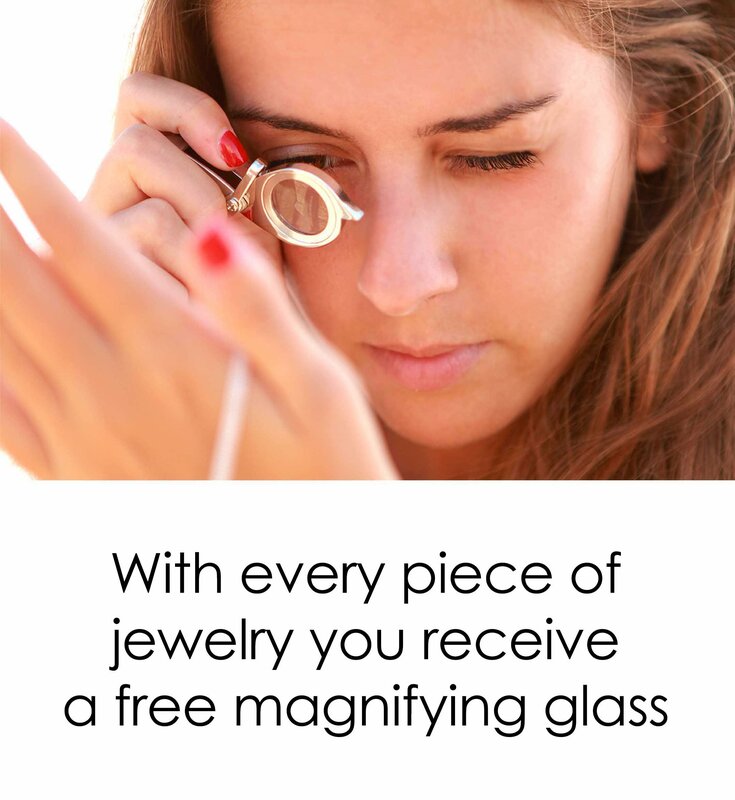 It makes a great gift as well as a stunning choice for your own adornment.